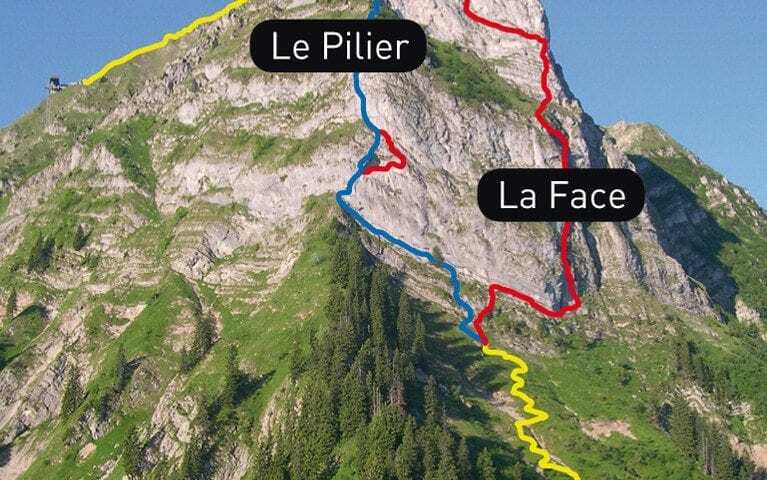 Come and climb the north face of the Moléson with the aid of 2 via ferrate. 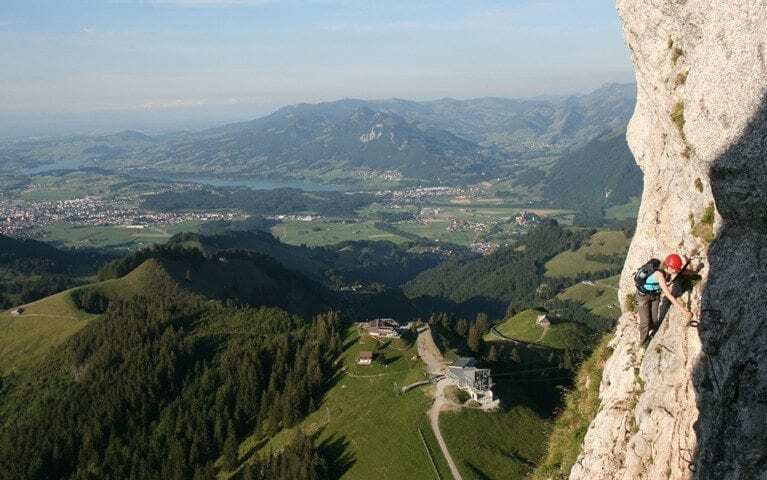 Almost 400 m high and equipped with rungs in the rock, these alpine itineraries are both thrilling and safe (thanks to a more than 1300 m long fixed cable and rental equipment to attach yourself to it). 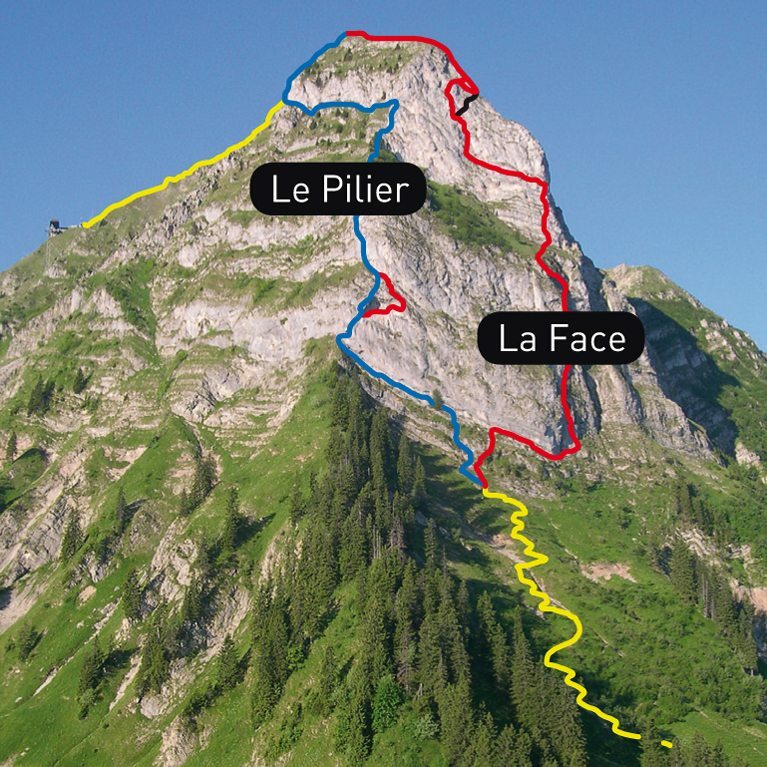 Ascend by either « Le Pilier » or « La Face». Minimum height: 1.50 m. Weight : more than 40 kg and less than 100 kg. Use at your own risk. Make sure you have the proper equipment and know how to use it. 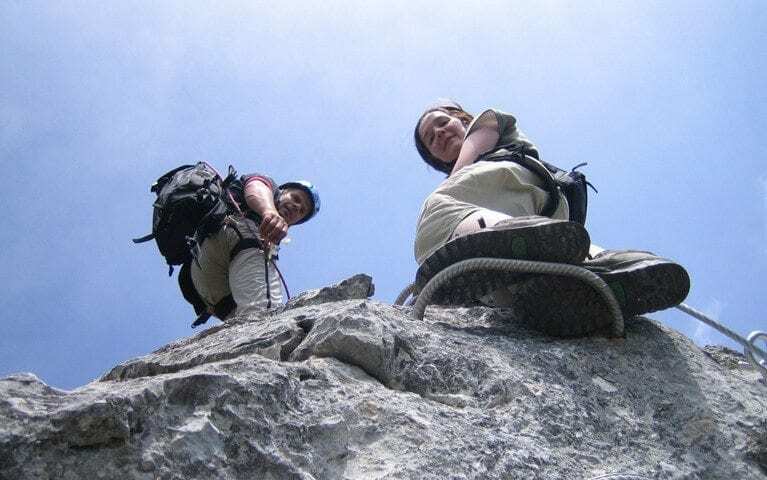 Hire a professional guide if necessary. Respect the direction of travel. 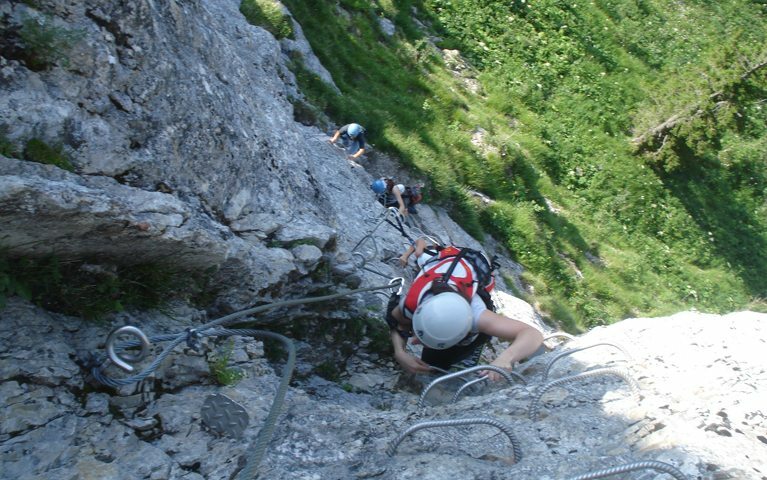 Do not attempt any via ferrata if thunderstorms are predicted. For the weather forecast call 162 or 0900 162 666. Funicular phone number +41 26 921 80 80. 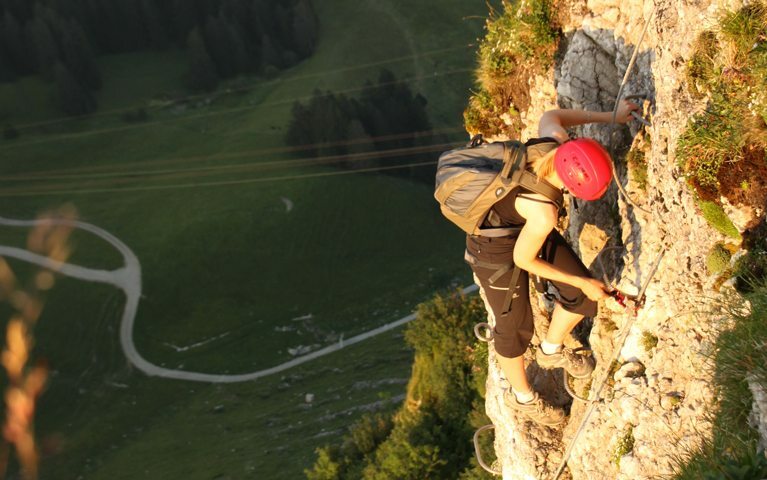 The lift company reserves the right to refuse via ferrata equipment rental if the weather is unsuitable. 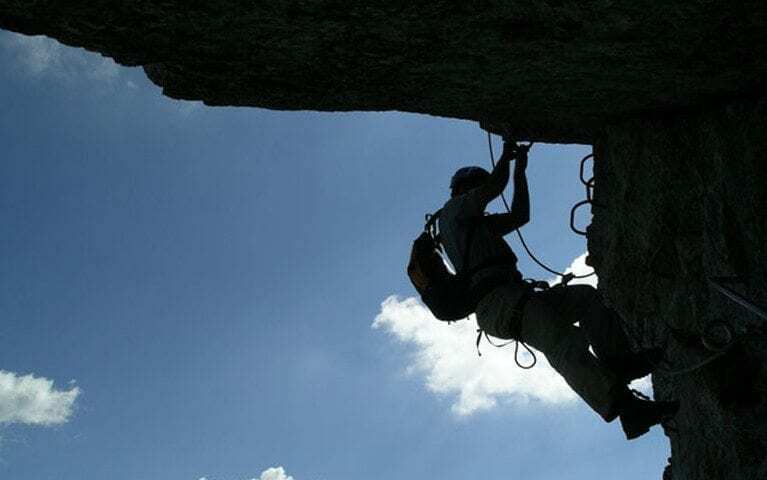 From Saturday, 25th May 2019 till the end of October (weather permitting). 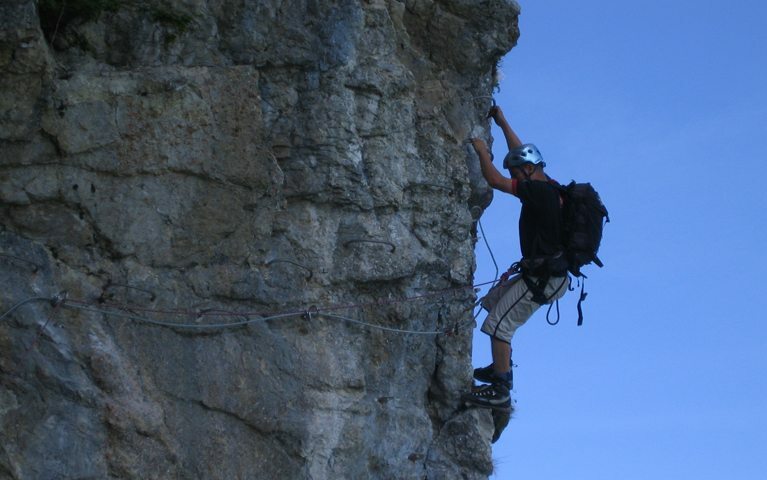 Last equipment rental at 15h00 (on Friday and Saturday at 17.00). Return equipment to the funicular before 18h00. Equipment rental on site, no reservations necessary. Information at the funicular ticket office.